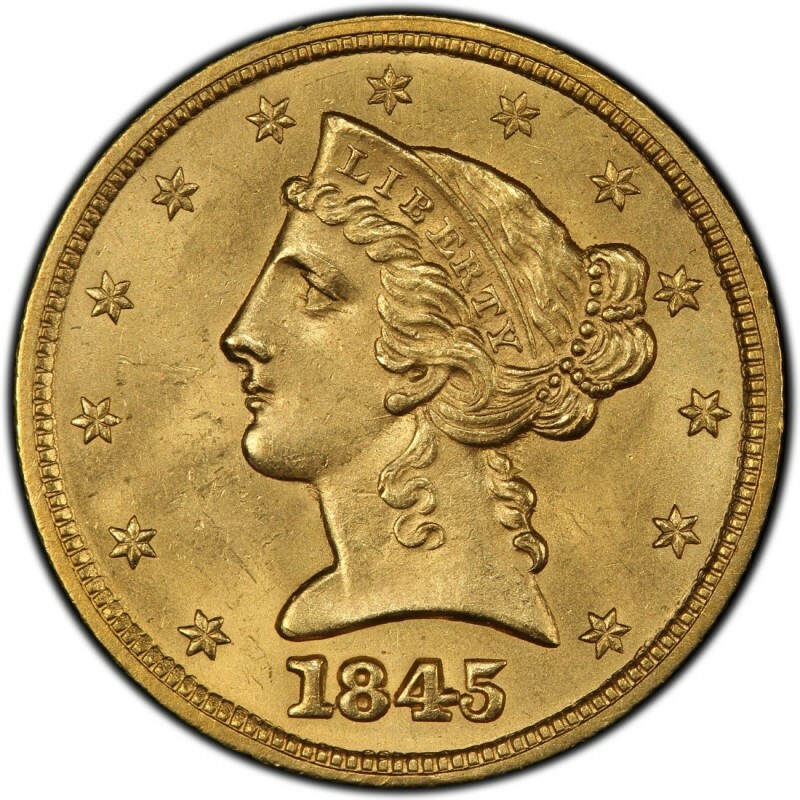 1845 Liberty Head $5 half eagle gold coins are available in three varieties, counting the Philadelphia, Dahlonega (D), and New Orleans (O) half eagles. 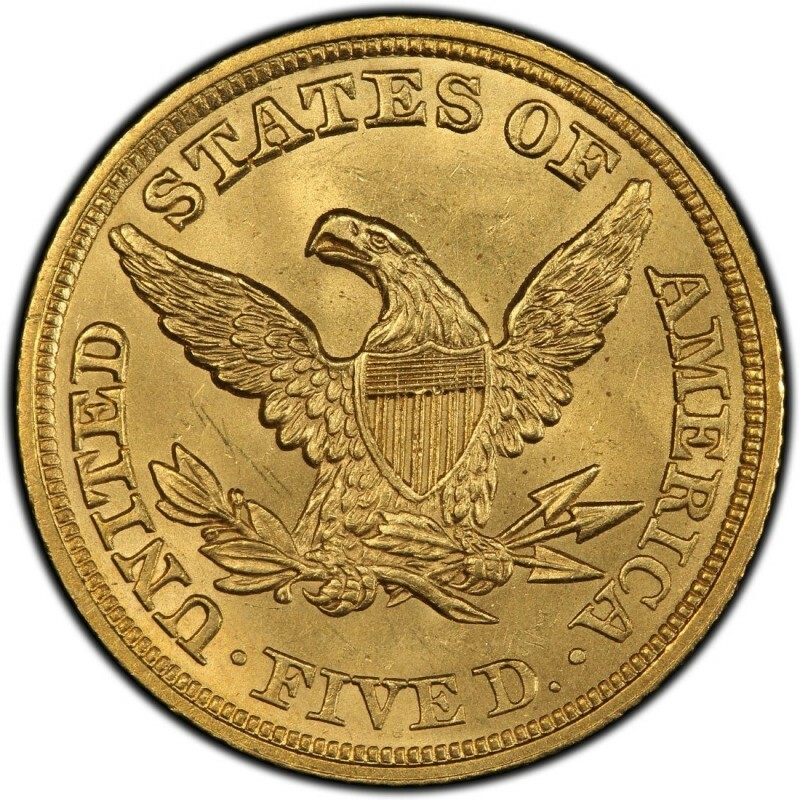 All 1845 Liberty Head $5 gold coins are considered scarce, but the scarcest of the three is the 1845-D half eagle. All Dahlonega mint gold coins are rare today due to the fact that few were made, many were lost to time or melted, and those that were left behind were not usually well preserved. 1845 Liberty Head half eagles were designed by Christian Gobrecht; he was also the designer of the silver Liberty Seated coins of the 19th century. Given the historical significance of these old gold coins, Liberty Head $5 gold coins are largely purchased by numismatists. While Liberty Head $5 coins contain 0.24187 net ounces of pure gold, bullion investors typically forego spending money on buying these coins as their premiums are far higher than the intrinsic gold value alone. 1845-O $5 Gold Liberty Head PCGS VF30 Scarce New Orleans Date Attractive Toning!